Having endured back pain, headaches and discomfort from Scoliosis for most of my life, I recently jumped at an opportunity for innovative treatment. Scoliosis is a disorder that causes an abnormal curvature of the spine. I have found that staying mobile, walking, yoga and receiving Osteopathic treatment helps me manage the discomfort better. 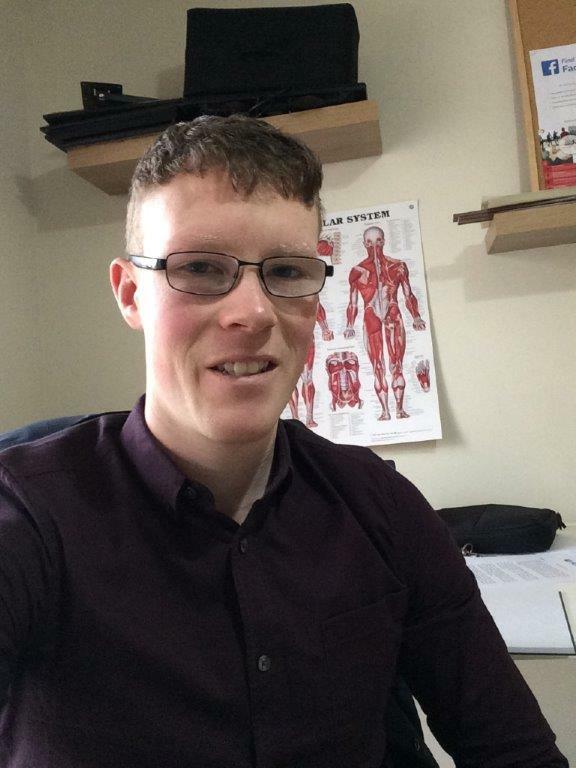 Eoin Flynn who has been my Osteopath for a number of years, recently suggested that since I had whiplash trauma in my teens I would be a candidate for atlas alignment treatment. The atlas treatment involves the use of two systems. Firstly, a scan with the FCE Scan Motion laboratory which creates a 3D image of the spine, pelvis, legs, feet and their function. Then the treatment part of the therapy involves the use of a machine that creates a pulse and vibration to the top of the neck, it is not invasive, and does not involve spinal manipulations. Once the treatment is completed the scan is performed again, in order to compare the differences and to show the improvements in the biomechanics of the spine. It was a fascinating experience. I stood in my bare feet on a walking machine and the scan was taken from behind me, then I had to walk to see how everything was moving. Then to see the image of my spine on a monitor and see the improvement after the treatment was incredible. According to Head of Diagnostics Shane Hassett, the FCE Scan Motion laboratory operates by using anatomical landmarks of the spine and pelvis to recreate a 3D image of the spine and pelvis using technology that has been certified as being as accurate as an x-ray. It was invented about 25 years ago by Helmut Diers, who at the time was working for Phillips developing MRI’s, when he met a professor who through his studies found higher levels of breast cancer in scoliotic patients due to the breast tissue absorbing radiation from continuous MRI scanning. “It was from this research that Helmut decided to invent the current system, as he wanted to come up with a method to reduce the risk of cancer but still be able to produce the spinal information from the scan. “From here, Helmut linked up with Wim Lambrechts, who was developing his own foot and gait analysis system. They decided to merge the two together which is now the 4D Motion lab that we have,” said Shane. Shane who has a Bachelor of Science in Sport and Exercise Science and a Masters of Science in Sports Performance said, “We can analyse how clients function when standing or moving which is a huge advantage as the majority of scans only assess the body in a static position. The system also assesses the feet and legs using specialised technology. With these functions, it can identify, but is not limited to, spinal position and degrees of scoliosis, pelvic position and movement, ankle stability and gait cycle parameters. Shane said the system can be used by anyone who wishes to book an appointment. A wide range of patients have already availed of this service, including children and adults with scoliosis, people with recurrent back problems, ankylosing spondilosis, foot problems, back pain, shoulder pain, hip pain and many athletes have used it to help prevent injuries they have sustained and to improve their performance. The Limerick company was formed by a group of professionals who are working in private health care, with the aim of providing state of the art diagnostic scans in the physical health care field. They decided to base the initial system in Arthurs Quay House in Limerick city because of the city’s technology base, the proximity of the University of Limerick and the city’s future development plan. Shane said, “since opening we have seen great benefits as it provides local practitioners with fast, accurate and reliable diagnosis of their patients. This allows them to see a greater number of patients in their clinics each week and it’s a very simple way of monitoring progression following their treatment. To the clients themselves they can rest assured that the treatment protocols being administered to them are working, by comparative scans post treatment if they wish. “The system analyses whole body biomechanics to accurately pin-point the source and monitor an injury. The method is also beneficial to assess function pre- and post-surgery. 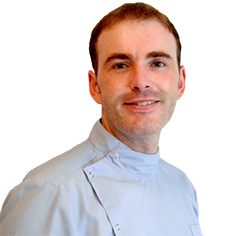 It produces accurate data and removes any guess work to provide a greater patient and practitioner experience,” added Shane. Since having the scan and Atlas treatment, I have been waking up without headaches, I have less back pain and discomfort and parts of my body like my knees, where I always had pain have realigned, and I feel much better, though I still have to make sure I keep active. 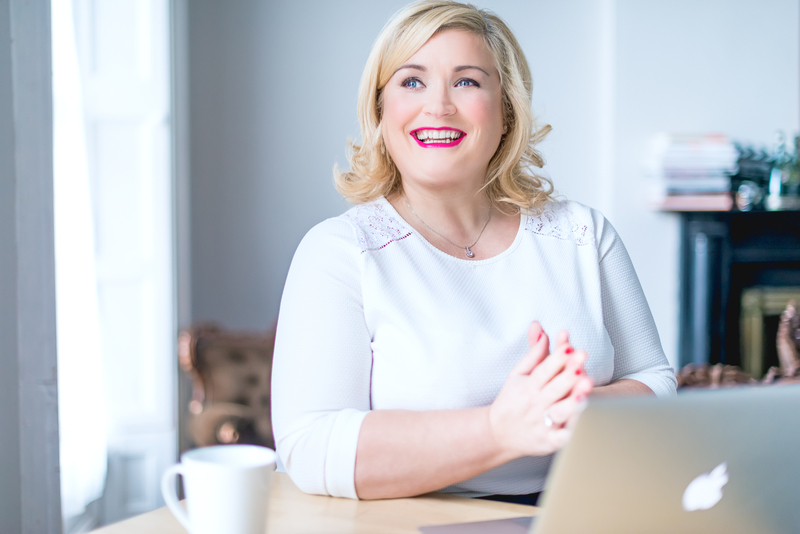 In 2016 following some life-changing decisions, my former classmate Marion Kiely became an entrepreneur when she established her innovative company Upstream. Upstream is a Health and Safety consultancy with a difference, because it also focuses on employee well-being and on how to bring about positive changes to the way work is carried out within an organisation. “Recently while in Amsterdam at a Health and Safety conference I was asked ‘I see you have well-being in your tagline, how do you incorporate that into your business?’. “Ultimately, the goal of any health and safety management system should be to protect, and even promote, health in employees and others engaged with the business. This adds great value to the overall businesses we serve, and sparks innovation and engagement when embraced and supported by leadership teams within organisations,” said Marion. Just four years ago, Marion had to take five months off work as she became sick, exhausted and burnt out due to working in excess of 60 hour weeks. “I hit a right low in my life. I had to stop in order to recover. As someone who is usually very independent and doesn’t like to ask others for help, it forced me to reach out to family and friends, and seek their support to get through that very difficult time. I’m lucky to be here today if I’m to be totally honest, it really was a tough time. “The whole episode led me to question everything about life. Why was I living where I was living? Why was I working where I was working? Why was I investing time in relationships that didn’t yield a good return? So many why’s. In hindsight, I’m thankful that I went through that difficult time, I see it as a wakeup call. As the saying goes, ‘the darkest night brings the brightest stars’,” added Marion. Prior to this Marion was a Behavioural Based Safety (BBS) facilitator at Pfizer pharmaceuticals. The seed of an idea for her business was planted when she was invited to present at conference for the Irish Nurses and Midwives Organisation (INMO). “After the conference I received many enquiries from occupational health nurses wanting to know where they could avail of services to help them roll out a programme like ours. There was no service provider in Ireland that could deliver our approach. This got me to thinking that there was a market for such a service. “It was something I felt I had to do. While I was half afraid to take the leap, leaving the security that came with having a permanent job, I knew deep down inside I wanted to make the move from corporate life to working for myself,” said Marion. Since embarking on her new career Marion travels to clients, schools and universities delivering mental health and well-being talks, she also lectures in Middlesex University has been a guest lecturer in University College Cork (UCC). Though she has a very busy lifestyle, she has learned from past experience and ensures she takes time out for meditation, walks, social events and she consciously prioritises meeting people daily. “That was a steep learning curve I can tell you. The fact that I had burnout in the past is now standing to me. When I feel pressure coming on and the inclination to park the walks and meditations, that’s my trigger to refocus. It isn’t always easy, and sometimes I need to pick up the phone and get out and meet a friend and air whatever it is that is adding to my pressure. When you love what you do, it is hard to park it for a while and prioritise social events when busy. I have had to ban myself from reading scientific research and articles outside of my work time, as I found I was constantly at it and I was getting no down time. “Letting go of perfectionism is something I have had to get comfortable with as well. I’m the type that can spend oodles of time perfecting something, when sometimes good enough has to do,” added Marion. Marion has an MSc in Occupational Health from UCC, among many other qualifications and regularly travels to Holland and the UK for Master classes. On building her brand Marion took inspiration from her favourite quote, “‘Even dead fish go with the flow’. My brand shows resilience, going against the current, not just going with the flow for the sake of it. The thinking is that by tackling problems at source (upstream) we prevent them becoming even bigger problems downstream. It is very much in line with the upstream analogy in public health, which is centered on primary intervention. “In my logo the fish symbolises the ‘Salmon of Knowledge’, a story from Irish mythology, and that represents my core value of education. The salmon also represents resilience by going upstream to spawn. The heart represents health, and it is at the centre of it all. Without health the rest falls asunder, and the colour and vibrancy goes. The ripple of water represents well-being and for me symbolises mindfulness. The logo in itself is about nature, an ever-evolving complex adaptive system, and that represents the view I believe we need to take of our organisations,” said Marion. As for the future, Marion would like to make a real difference to the health and well-being of the nation, “ I foresee this happening by influencing those in a position of power to do what is ethically right, and prioritise the enforcement of legislation in the area of identifying psychosocial hazards within workplaces and putting preventative measures in place to limit the harm that may arise from them. “I also envision Upstream being recognised as the go-to experts in the area of improving work efficiency by means of providing a top notch safety service based on the latest scientific theories and research, and practical implementation of same. Business leaders serious about becoming the best in their field, who want their employees to be innovative and engaged, will seek out our services and if they are willing to be challenged and have potential to flourish. To meet this demand I foresee the Upstream workforce expanding,” added Marion. 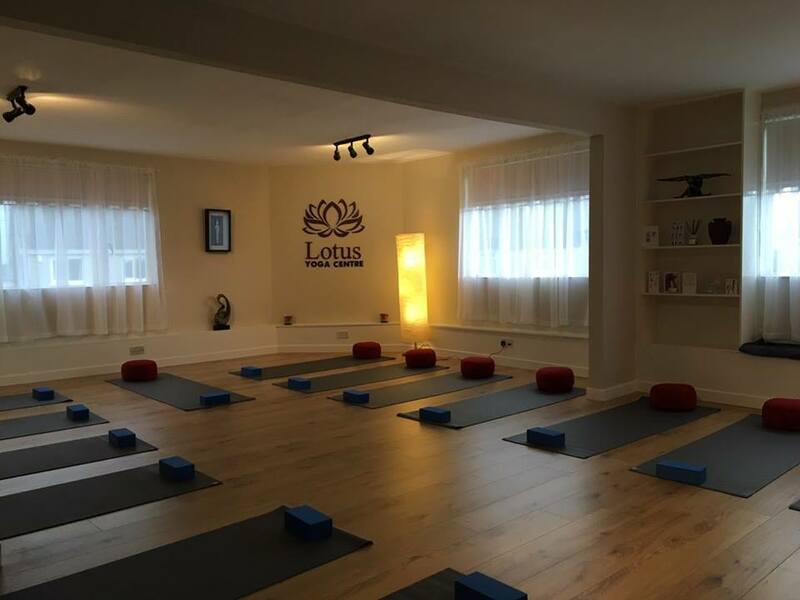 A group of friends made their dream of working together come true, when the Lotus Yoga Centre opened on January 16, 2017. Yoga instructors Mags McInerney, Pamela Enright, Julie Madigan and Caroline Kerley are united through their love of yoga, and have become such close friends over the years that they feel like family. “It was my idea to open the centre. The girls and I had expressed an interest in working together and it just evolved from there. I feel everyone should do Yoga. Not because I teach it but the benefits I have got from it, I wanted to share with others. I also wanted my Mother to take up Yoga and I felt if I taught her in the right environment she would love it,’ said Caroline. Caroline started practising Yoga under the direction of Michele Ryan of the Limerick Yoga Centre eight years ago, and quickly became so enthusiastic about it that she went on Yoga holidays and workshops. “Pamela Enright told me that she was going to do a Yoga Teaching Course and would I be interested. I went along with the attitude that if it didn’t do anything else it would improve my Yoga practice, but, after the first day I knew I had found something that it would be remiss of me not to share with others. I started studying to teach Yoga over a year ago,” added Caroline. With the help of Tony Wallace of Rooney Auctioneers, Caroline soon found a suitable premises and her husband Noel Kerley with help from Robert Simring within a month had the premises renovated, resulting in a bright, airy, comfortable, warm and relaxing space. would encourage anyone at any age to seek out a Yoga class and give it time. In particular she enjoys seeing people improve their posture, self-confidence and to learning how to relax. “Yoga brings us face to face with the complexity of our own being. It allows you to blossom in so many ways regardless of your ability. It’s not just about touching your toes or standing on your head, it’s about how you live your life on a daily basis. Yoga is not about self improvement it’s more about self acceptance. The improvement will come when you allow yourself to be where you are. “My hopes are that it will continue to go from strength to strength and that people who never tried Yoga before will come and try it and feel the benefit of the changes that Yoga can make to your life. I love teaching Yoga as much as I love my self practice. I feel blessed to have the opportunity to share it,” added Caroline.